The rapidly approaching NASCAR season will bring with it a host of changes for two rookie drivers joining new teams in 2018. 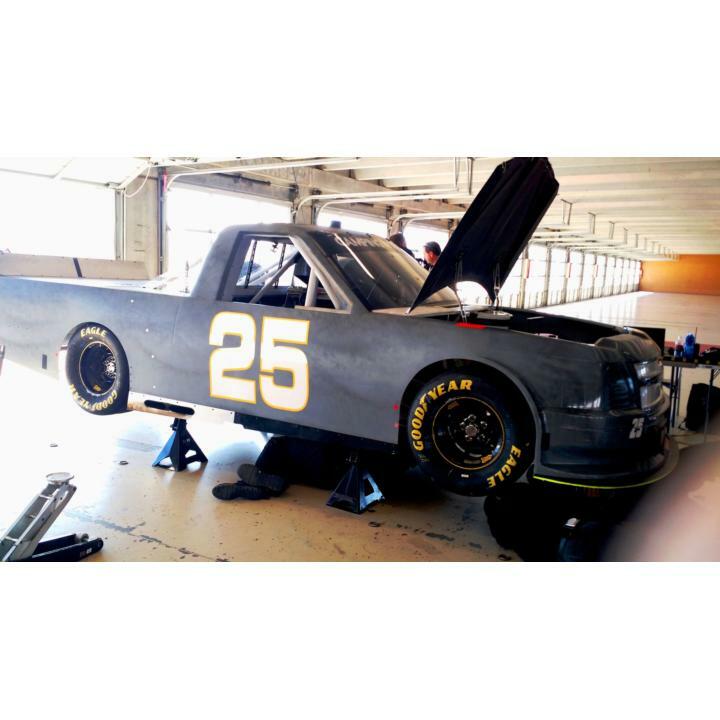 Though neither Christopher Bell nor Dalton Sargeant are strangers to the race track, there's still plenty to get used to when sliding behind the wheel of a new car or truck and working with a new crew, which both have had the chance to work through during a two-day NASCAR rookie test at Atlanta Motor Speedway that wrapped up this afternoon. For Christopher Bell, who graduates to a full-time NASCAR XFINITY Series ride with Joe Gibbs Racing in 2018, the territory isn't entirely unknown. The 23-year-old driver ran a partial schedule of eight races for Gibbs last season, picking up a pole at Iowa and then his first series win at Kansas in October. And even though he won five races - including Atlanta's Active Pest Control 200 - on his way to the 2017 NASCAR Camping World Truck Series championship last season, he knows success won't come easy with the jump to the XFINITY Series. "It's tough. 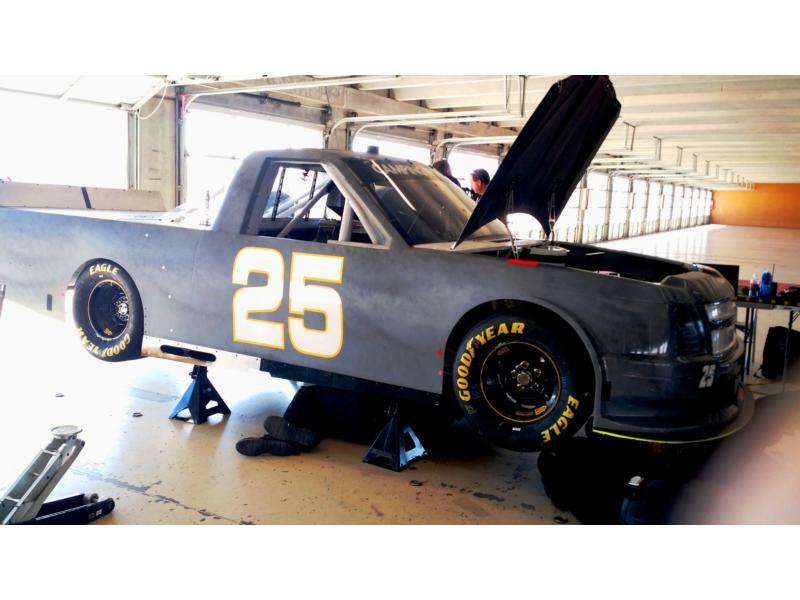 The Truck series is definitely a lot different than the XFINITY Series," said Bell. "One of the biggest adjustments I'm going to have is the 33-race schedule compared to the 23-race schedule the Trucks have. I'm glad that we get to race more, but it is a longer schedule and a lot tougher, especially on the crew guys." A new challenge notwithstanding, the limited experience he had in an XFINITY Series car last season certainly bodes well for his confidence heading into 2018. And it doesn't hurt that he's run well at Atlanta in past Truck races, too. "I've run here at Atlanta twice and ran exceptionally well both times," he said. "It's one of my favorite race tracks. This place is a blast and one of the most fun places we go to." Then, of course, there's the fact that his old boss, Joe Gibbs Racing Monster Energy NASCAR Cup Series driver Kyle Busch, has won the most races in XFINITY Series history and can impart a wealth of knowledge and tips to the rookie driver entering the same series. "I relied on him a lot last year when I was just getting my feet wet in these things," said Bell. "He's pretty good everywhere. I'll use him a lot on the race tracks that I haven't been to. "We've tested here in Atlanta once and ran two races, so I've got a lot of laps here. It's a fun place to drive, so hopefully this test can be beneficial and we'll be fast when we come back." "Just getting the jitters out (was the biggest goal at this test)," he said. "I was pretty nervous, and I think everybody is the first time they get in their cars since November. I'm glad today went smoothly." It's big opportunity for the youngster out of Boca Raton, Florida, and he'll look to lean on the recent success of the team and its drivers as he graduates to the national touring series stage this season. "I'm really excited to be joining up with GMS Racing this year," said Sargeant. "I've got a great group of guys behind me, especially with crew chief Doug Randolph. It's going to be a little tough compared to some of the guys that have a little bit more experience, but at the same time, we're always up to the challenge. "Hopefully I'm a quick learner, and we'll see what we can do. We've been trying a bunch of different things on these trucks with the new motor and everything. It's just a little bit different than what they were used to last year and years before, so we're just out here testing as much as we can." Though Daytona presents a challenge to any driver at the beginning of the season - rookie or not - Atlanta doesn't make it any easier one week later for a new driver who had never raced there before. "I'm happy to be here," Sargeant said. "It's my first time on the big track, and it's definitely a really cool place. I'm looking forward to coming here and racing in February. I think it's going to be a tough challenge. I know it's going to be warmer then, so we might be slipping and sliding around a little bit more, but my first overall thoughts is that track is really awesome." Bell and Sargeant will both be in action on Saturday, Feb. 24, when the Rinnai 250 XFINITY Series race and the Active Pest Control 200 benefiting Children's Healthcare of Atlanta Camping World Truck Series races go back-to-back in the only same-day, same-track doubleheader on the 2018 NASCAR schedule.